The Central Bank failed to sell at public auction sanitized Asian-Pacific Bank (ATB), said in a statement on the regulator’s website. It is noted that, the Central Bank organized the auction was recognized invalid due to the fact that neither of the two admitted to trading participants “has not in fact participated in them”. The result of 99.9% of the shares of ATB remained in the ownership of the Central Bank. The remaining securities owned by minority shareholders. In this regard, the Central Bank plans to consider the formation of permanent bodies of management of the Bank with his participation. The next attempt to sell rescued Bank regulator will take in 2020. ATB Bank was sanitized in the spring of 2018, once the audit of the Central Bank found he had insufficient capital. 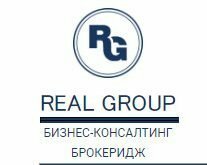 The regulator has reduced the Bank’s equity capital to one ruble, then bought the nine billion rubles additional shares and became its main owner. Another three billion, the regulator has given the Bank as a loan to maintain liquidity, these funds have subsequently been returned. ATB became the first Bank to the Central Bank tried to sell after the reorganization. Previously in manual control have repeatedly stated that they are going to do the same with other lending institutions that have passed the procedure of recovery, primarily with the Bank “FC Opening” with a Bank.